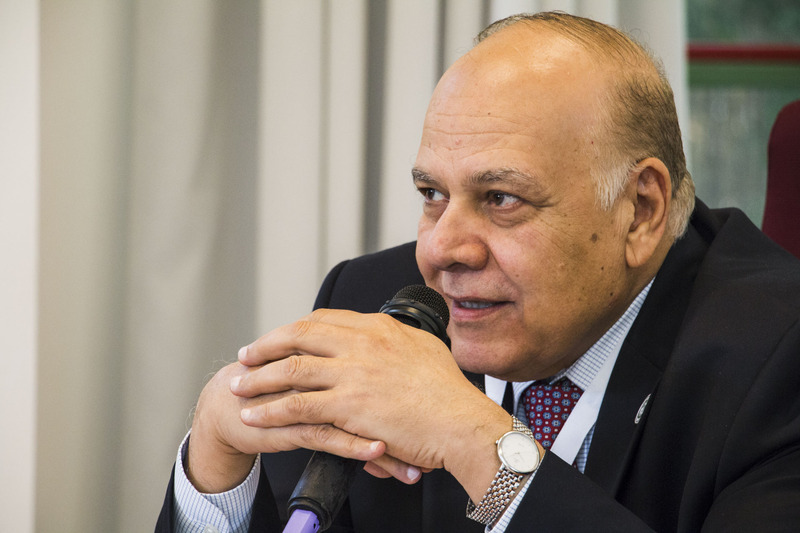 On October 25, 2018 the Secretary General of AArU, Dr Amr Ezzat Salama, former Minister Higher Education and Scientific Research in Egypt, introduced OpenMed at the workshop organized by the Community of Mediterranean Universities (CMU) and the University of Malta “Environmental Universities: a challenge for higher education institutions” in Valletta (Malta). His presentation, titled “Integration of open education at Arab Universities“, analyzed the challenges facing higher education in the MENA region (such as globalization, autonomy, the mismatch between educational attainment and the job market, embedding and promoting a culture of quality, the introduction of ICTs, redefining the Idea of a University, rethinking the societal role of higher education and, most importantly, who will decide and how) and why Open Education matters for higher education in the region. Dr Ezzat Salama showcased evidence of the impact open education initiatives in the Arab World and presented the results of OpenMed, calling for institutional leaders to strategically prioritise Open Education to further develop the education system in the region. We are grateful to our partner AArU and to Dr Amr Ezzat Salama for taking the agenda forward, an we are eager to further advance together supporting equity and democratization of education in the Arab World.